So unless you’ve been living under a rock, you know that chalk paint is all the rage here in crafty blogland. As a member of crafty blogland, I felt as if I was my duty to give chalk paint a whirl. Annie Sloan makes the stuff everyone raves about, so I went online to order some….that’s when I saw that it is crazy expensive. Like over $40 a quart expensive. Now I might have ponied up and paid it if I wasn’t going to catch a ton of flack about it from the hubs, who already thinks my paint collection is ridiculous AND is the cheapest man alive. So I did a little more hunting and found a recipe to make your own chalk paint. Perfect! The recipe called for calcium carbonate and latex paint. I mixed them together as directed, three parts paint one part powder. Then I got right to painting! I was pretty excited to not have to sand at all, and figured that with Adam and I both painting we could finish in a single naptime. Wait, I forgot to tell you WHAT we were painting. Remember back when I did my Union Jack coffee table? 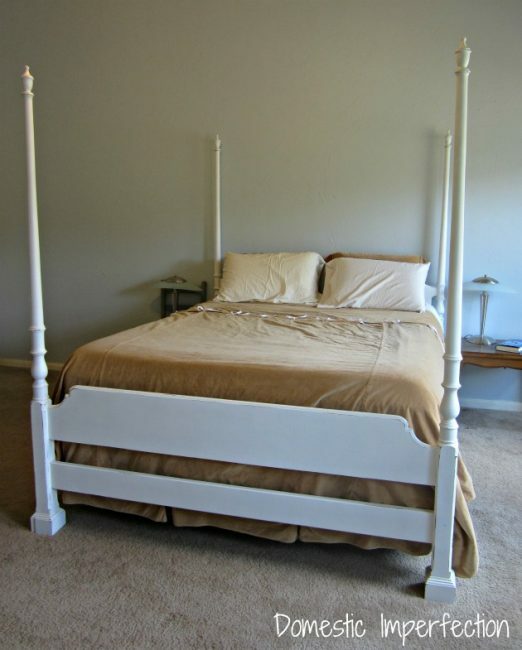 Well the friend that gave us that table also gave us a bed….an old four poster queen bed. Anyway, we don’t currently have a bed, just a mattress and a bed frame. Actually our whole master bedroom is pretty horrific, just an undecorated dumping ground. Hence the reason you have never seen pictures. I have big plans for it though, and if you follow me on pinteret you probably already have a pretty good idea as to what I have in mind. It’s going to be awesome, colorful and a little out of my comfort zone. Since the bed is in the middle of the room I didn’t want it to take over by painting it something colorful, so boring old white is what I decided on. Anyway, we started painting the bed and I thought it was going to be a quick naptime project. Adam said it was basically crappy Kilz and wondered why people thought this paint was so awesome. I assured him that the real stuff had to better than this, I’m sure I’m right. Afterall, I don’t think I’ve ever seen a bad review. Ours was turning out so bad though, that we decided to ditch the whole chalk paint idea and just paint it normal. Three weeks later I was done. No really, that’s how long it took me. To paint a bed white. I KNOW. Let me just give you the quick and dirty version of why it took me so long. It took me so long to notice because the wasps sealed up the holes with mud and I had spray painted over them. Anyway, I had to dig those suckers out and clean the holes. Twelve holes in total…all occupied. Then it rained (crazy thunderstormed, actually) for a few days and the bed got blown over on my front porch and broke. Fixed that with wood glue and clamps (it was just a pole). Maybe the glaze didn’t work because the spray paint finish was with matte paint? I don’t know, but I had to paint it again…with regular paint, because I had used all my spray paint. Oh, and I cleaned out all twelve holes, again. Consider that your ego boost for the day. Anyway, here is a close up of the distressing. I only distressed it because the paint still doesn’t look that even, so I figured I would make the crappiness look purposeful. I do really like it though. After eight years of marriage this is the first time we’ve had a bed…kinda makes me feel like a real adult! Has anyone here had a DIY chalk paint success? I’m thinking I’ll try again on a smaller project and just use less power. Or should I just pony up and buy some real stuff? They sell some sample containers…that might be a good place to start. Looking for more furniture ideas? Check out THIS POST. Seriously I laughed so hard over this one post that the whole family had to come and read it. I was thinking of using chalkboard paint but for now I’ll just skip it. The finished bed does look really great though! Kathleen….As a DIY chalk paint user, I can tell you that this “oh oh” probably isn’t your average result. Give it a try on a small project and see what you think. I use a plaster of Paris/paint/water DIY formula that worked quite well. Hi! I, also, was scared to shell out the cash for the ASCP so I did the plaster of Paris/latex on my first project. It turned out fine, but for my next project, a china cabinet, I did use the ASCP and I was thrilled with it! Coverage is awesome! 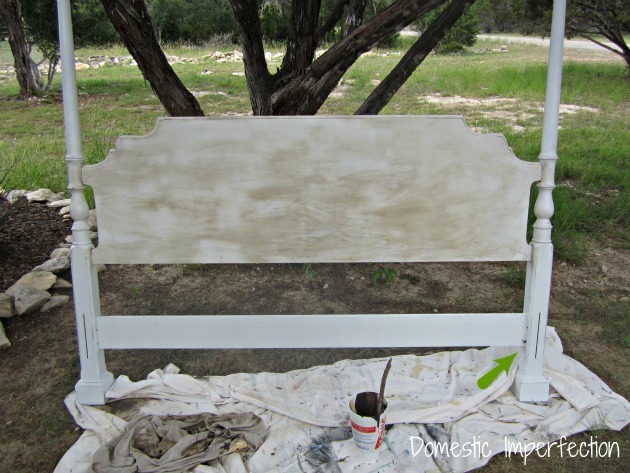 I used the plaster of paris chalk paint recipe and it worked fabulous. It did take two coats but covered great and isn’t going anywhere. I love my final product. That is the formula I use to and it works amazing! Dont give up on homemade chalk paint. I use it all the time. I use one cup flat paint, 1 tbsp unsanded grout and a cap full of water. Mix the hell out of it with your paint stick and paint. You just had a bad experience. Love your honesty and try again. I’ve never used wax so I can’t comment on that, I use polycrylic and have never had a problem. ohhhhh …..I dont use wax on it. I use flat paint with no pigment in it. I use behr but u can use any goid quality paint. if you like a little sheen use eggshell. Both finishes r nice . i use the homemade plaster of Paris chalk paint and Minwax finishing paste wax and it works great every time! I only leave the wax for about half an hour at the most before buffing though as I find any longer and it’s hard work. Don’t give up! I hope to do my whole kitchen soon in this way because I enjoy it so much and always get great results. You poor Girl! Bed from hell! LOL! Just so you get the “feel” of chalk paint, buy yourself a couple of different sample pots of ASCP. You’ll then know the consistency that the chalk paint should be. I mix my own but I use plaster of Paris. Once you know how thick the “real” paint is you’ll know how much plaster to use; usually even amounts of hot water and plaster. 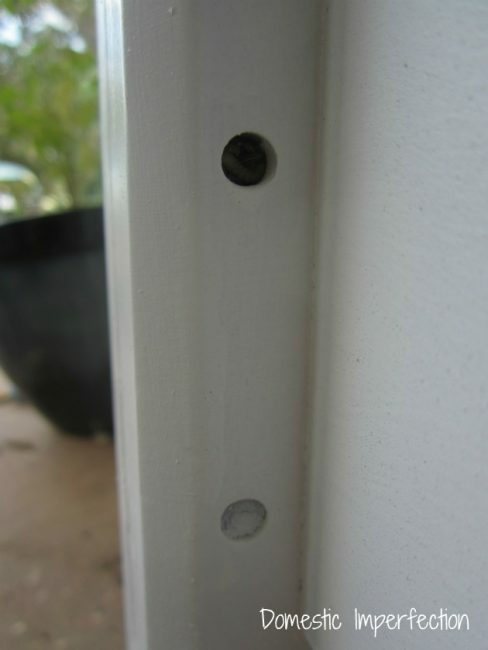 Use a paint mixer attached to your drill so you have no lumps; then add your quart of paint and mix again. You can always add more hot water if the paint is too thick. By the looks of your pictures, I think your original paint was too thin and that’s why it looked so streaky. Good luck if you try it again!! Ewwweee… the wasp ordeal gave me the hebee gebee’s but I am cracking up. This bed was not meant to be but you made it be and it looks great! I have made my own chalk paint and I use non sanded grout and I love it- however, I have yet to purchase the ASCP so I have nothing to compare it to. Its 1 Tsp of grout per 1 cp of latex flat paint. Oh my! What an ordeal! I have used a DIY chalk paint with rather great success. I painted two mirrors and a small bathroom stool. Thinking about doing our end tables. The Annie Sloan paint pretty much recommends a top wax layer too, to get those nice results we all see on blogland. Email (go to my website) and we’ll discuss the pros and cons of DIY chalk paint … as I know them. :-) One thing I’ll say here is I used Plaster of Paris purchased from Lowe’s mixed with semi-gloss paint and did not wax. It worked really well for the projects I did. I have been thinking about doing a project with diy chalkboard paind and was going to use this recipe. I have seen alot of post about using grout so I am hoping it will work. I’ve used DIY chalkpaint a lot (I use plaster of paris) and it always works perfectly EXCEPT when I’ve tried white. I’ve never been able to get the white to work and not be streaky and globby. I’m addicted to ASCP and have painted near half my household with it. My hubby jokes if the cat sat still for long enough, it too would be subjected to a coating. The real stuff is brilliant and you get quite a lot of coverage from a tin. I’ve not tried the DIY version and think I may not having read your post. Well done on the tenacity to get this finished! Oh me too! ASCP goes so far, I did my kitchen in 3 colors,I have tons of cabinets, and 2 colors I used the most of 1 only had to buy 2 quarts!!!! So a total of 5 quarts to do 40 cupboards and drawers, 2 coats, and the backsides where the kitchen is exposed to other rooms. That is a lot of coverage, and I did the side of the cupboard doors too! It’s the best, I paint everything! 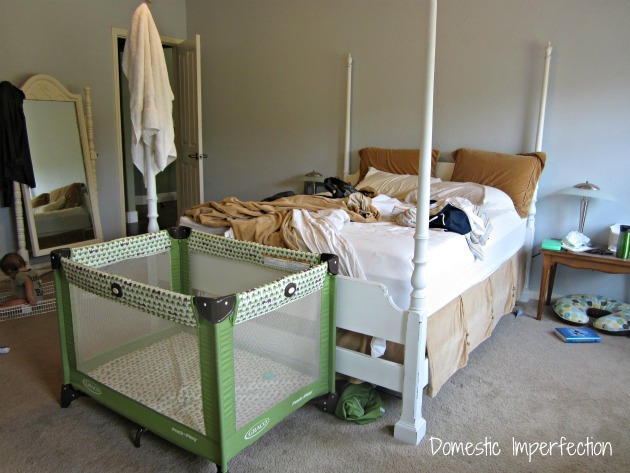 Can I just say I am SO GLAD I’m not the only one whose master bedroom looks like that?! The bed looks great though! I must say i really enjoyed your writing style. AND The bed turned out beautifully! It’s good to see others who have fits with projects and still perservere! So sorry about your mishap! It turned out beautifully. I have had much success using DIY chalk paint. I use unsanded grout for mine, and then wax it once I am completed. I painted a tv hutch and turned into into toy storage for my son. It has gotten much abuse and after 8 months there are still no scratches! Try again! This is the funniest post I’ve read in a great while. Sorry you had to put so much work into my amusement. 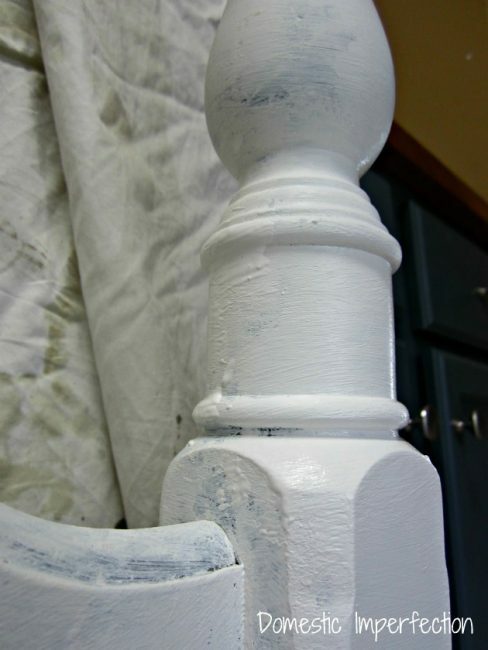 I use Villa Barnes’ homemade chalk paint mixture: 2/3’s any paint and 1/3 gesso. If it’s too thick, add water. If it’s too thin add paint. Honest, you will love it. And try painting in smaller sections. Good luck, I’ll be back to your blog to see if you have success in the future. Your bed turned out pretty good after all and that’s what counts, right?! But Annie Sloan paint is great, a little goes a long way and it literally goes on anything (clearly I’m addicted to the stuff). Nice to know there is a quasi-workable alternative. I agree that the bed turned out pretty good, in spite of all those issues. (wasps, eeekkkkk!) I can’t remember which of the (way too many) blogs I read that if you mix hot water with plaster of paris for the “chalk” part of chalk paint, you get a smooth result, instead of the clumpier, grittier look. Water under the bridge now :-) I have some of the ‘real’ stuff, and love it, but would also like to try making my own ‘cuz I’m too cheap/poor to buy more. Your paint was way too thick to start with. 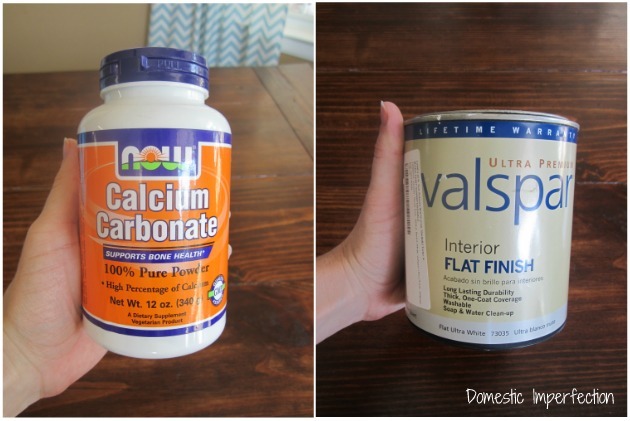 I have used the Calcium Carbonate mixture on many, many pieces of furniture and have LOVED it. The one thing I do differently is add water. 3 parts paint, 1 part water, 1 part CC. Then I mix it with a hand mixer until all lumps are gone. It is perfect. I’ve even used it in a sprayer. I have also tried grout and plaster of Paris and find the CC to be the best by far. The others clump and harden over time, but with CC it does not harden and stays nice and creamy. I have to add water every now and then to an old can. Be sure to sand lightly between coats. On the glaze, you probably had that too thick, too. Adding water to the glaze is fine and helps it last a little longer. Work in smaller sections, wiping on and off before it all dries. Use a wet rag, then dry rag. End result looks GREAT! What a pain in the patooty….wasp/paint nightmare. You get the stick-to-it-till-it’s-done award. Sweetie, sorry for all of your troubles but it is wonderful that you posted for others to know what not to do. You said you slept with the mattress on the floor, well if I did that I would have to have a tow truck to get me out of it. (Ha-Ha) Thanks for making it REAL. Isn’t it sad that something called “the bed that almost killed me” can be so funny? I also liked how you said you feel like a “real adult” now that you have a bed. This post is TOTALLY like something that would happen to me. It made me laugh. I’m always having to go to plan b or c.
My last couple of blog posts have been on using ASCP vs homemade chalky paint. The first time I used the real ASCP I didn’t use it right and so I’ve developed some skills in that area. Painting with homemade or ASCP makes you work faster and in smaller areas. It is worth the money to pay for ASCP depending on what you’re doing. I finally broke down yesterday and bought some more. There is nothing that compares. 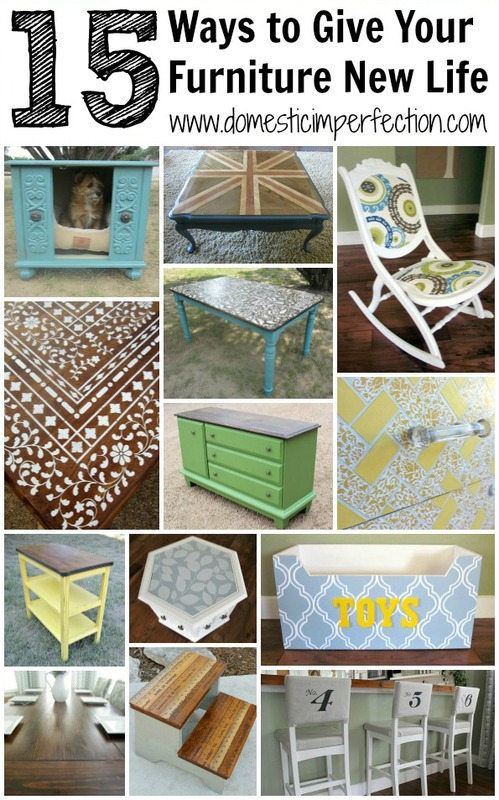 Though I’m excited to try Miss Mustard Seeds new milk paint line…maybe that will be fun too. Btw, I’m your newest follower. That takes some serious dedication. Way to go at sticking it out! I’ve been married for 13 years now and we still don’t have a ‘real’ adult bed. Looking forward to the day when we do. Enjoy it! You are so funny. Loved your post and the bed looks great. I could send you pics of my bedroom if it would make you feel any better. Giant dumping ground there. That is too funny! If it makes you feel better, my bedroom looks way worse. I feel your pain! THANK YOU!!! I am sorry for your struggle. The bed does look AMAZING, though. There are so many blogs from perfect moms with perfect houses and wonderful homemade dinners everynight… I’m glad to know I’m not the only one who says “Oh $#%&!” and starts a project over. As a matter of fact, I ran out of spray paint last night on a stool. Can’t wait to take a look around your blog. You are not alone! Your comments reminds me of this ecard I’ve seen floating around facebook that says “I see all these moms that can do everything and I think…I should have them do stuff for me.” Lol, wouldn’t that be nice! I was dying laughing at this post because I thought those things only happened to me! LOL!!!! I love when people are honest about the EPIC FAILS. It makes you seem so human and relatable. I am nothing if not human and relateable! I’m often typing up a post (and telling about all the things that went wrong) and wondering if my readers are tired of hearing about how I screwed up again. So no, you are not alone! Oh no. The paint mishaps would have been bad enough, but the wasps were over the top. I seriously dislike wasps lol. I have used home made chalky paint several times with really good results on a desk in our guest room, a bench and some frames. I use a plaster of paris, paint and water mix. I did have to throw out one batch using blue for the first time recently. I know it wasn’t the colour change, I just mixed it wrong. 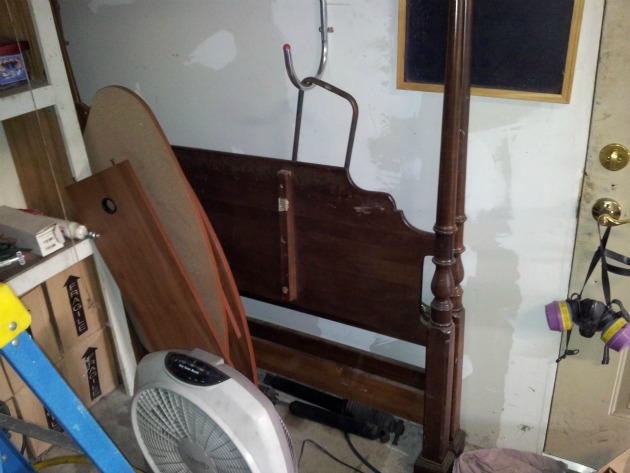 OMG you should have won a prize for most persistent DIYer for this bed, lol! I think I would stomp on the bed after two disasters, hahahaha! I love the results, though! I use ASCP. Still I got some failures, like the paint was bleeding through the last bed I painted. I searched her blog and it said to use shelac and then paint again. So I know what it is, to have to start over again… you are a trooper, seriously. Wow, as soon as the wasps moved in, I would have just set the thing on fire and walked away! You’re a brave woman! HA! What a great post. Everytime I do a furniture project something goes wrong! I bought a couple of ASCP samples and painted some cheap-o frames to get the feel of it. It is pretty awesome stuff! I have seen homemade recipes using unsanded grout so I got some of that to add to a flat white I have on hand. Hopefully it will go well! I found you through “It’s Overflowing” linkup party…and your link post made me laugh so I had to come read the whole story! I’m so sorry!!!! I want to come give you chocolate, vodka and a big hug after all that work! But the bed looks amazing, and well worth all the blood sweat tears and wasps! You poor thing. Paint that wouldn’t cooperate, thunderstorms AND wasps is more than anyone should have to put up with. It looks nice, though, and you’ve got a bed off the floor, so now you’ll have an incentive to work on your bedroom some more. Good luck! Im still laughing, although Im sure you werent when you were painting, and repainting, and repainting! As Annie herself says, there is chalk in lots of paint, just like there is flour in both bagels and cake, but it is different. It isnt the ingredients so much in her paint that makes it wonderful to use but it is the recipe. You just cant make it yourself! But kudos to you for your persistence! You just described what would happen to me if I tried to make my own chalk paint. Except instead of wasps, I would have baby rats living there…And partway through painting one of my boys would say, “Why don’t you paint it blue?” And a paint brush full of paint would appear in his hand. Thanks for sharing your crazy experience! Your bed looks great and your “messy” room is still cleaner than mine! LOL, about your boys. Mine aren’t old enough to critique me yet, but my husband sure is! I’ve dealt with rats before too..not babies, but did you see that paisley stenciled table I did? One of the legs was chewed about a quarter of the way through by rats, but a little wood putty and paint fixed it right up (and my BIL and SIL never have to know…unless they read my comments, lol). You are hilarious! I’m you’re newest follower! I hate when a good idea goes bad! I am sorry you ran into so many problems. The good news is it turned out great in the end! Nice job! The finished product is really nice despite the hell you went through! The wasps probably would have freaked me out! I can’t wait to see the finished product. 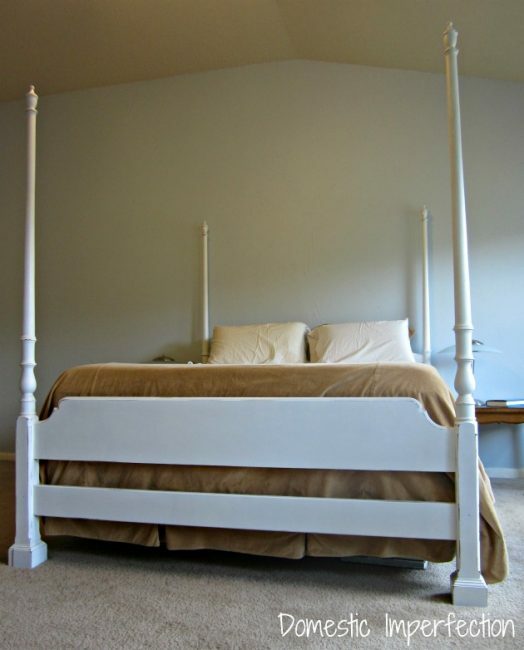 You can never go wrong with a white four poster bed. I certainly hope you got rid of the wasps! I have to admire your tenacity — I probably would have set it on fire after the first round of wasps. It does look good, though, I must tell you. Plaster of paris makes a pretty good mixer with latex paint, and you may or may not need water, depending on how thick you want it. I have found that the better the paint, the better your result. For example, I painted an old tile floor with some leftover Ben Moore mixed with the p/p and got a great result. I painted another old tile floor with some Lowe’s paint and p/p and the result was not as good. I too was set against paying that much for the chalk paint, but I must tell you this: if you are going to paint a nice piece of furniture, it is worth every penny. I mix my own colors so that I get what I want. Sample pots of the bright colors are the way to go if you are going to mix. BTW I do not like the waxes — I am probably the only blogger who doesn’t. I prefer a sealer like polycrylic in Satin or a matte sealer from Ben Moore. Hope this helps. I think your four poster is a great gift from your friends. Thanks for the tips! I do plan on trying again, so all the advice I’m getting will definitely come in handy. …and my husband threatened to throw the bed in the burn pile a few times, so your not the only one that would have torched it! Wow beautiful bed! I would love for you to share on my linky party! i am so glad it didn’t kill you. :) and in the end, it turned out awesome! Your story made me laugh and cry at the same time!!! I felt so bad for you with one incident after another, but one the other hand, you bed looks amazing now! AND YOU DID IT!!!!! Its easy to paint something easy, with good paint. Its not so easy with something dark, old, and with DIY paint where the ratio’s can lead to very different results. Great job! You are persistent – I would have probably thrown in the towel! It looks good! I think your bedroom is on the way to being awesome with that super looking bed! What a great freeby, even thought the wasps (eek!) gave you a run for your money! I don’t know Annie Sloan paint from a wasp, when it comes down to it, but I do know good writing. There is nothing more boring than going to a promising picture of a project and seeing “before” and then “after” — with nothing in between and little dialog, all done in pretty script. Keep doing what you’re doing with your writing and your projects and you’ll have a kajillion followers/readers in no time. Maybe already do, actually, and I’m just late to the party. Saw your post at Savvy Southern Style linky party. Aww, thanks so much Jan…glad you enjoy my over-sharing, lol. I have no experience with chalk paint to add here – but this story cracked me up,lol. Good for you for keeping at ti. I would have given up after the first try. This has got to be the best makeover story ever told. Wasps, twice????? The picture alone was making my stomach turn. I think I would have called it right there and gone back to the matress on the metal frame thing! I am so impressed you stuck with it all and it turned out beautiful!! I LOVE the keeping it real photo. I am featuring your bed tomorrow. Come by to see what photo I choose! You are the best, thank you so much for sharing! Thanks in advance for the feature! I look forward to seeing your picture choice…do you dare post a nasty wasp larve pic on your blog? Or Perhaps my messy room will grace your page…. Ashley, if there aren’t Edward R. Murrow awards for excellence in writing crafting blogs, there sure ought to be. A People’s Choice award, maybe? I’d nominate you in a second flat, for this great piece of writing, organizing, and presenting. I’d nominate and vote for you. I’d nominate and vote AND volunteer for you, only I won’t be as aggravating as the PBS folks or the Vote For My Candidate folks are! I LOVE how to used white space to add interest, it kept me scrolling down for more, and I was in a hurry, I had to know your story. I LOVE that this was so far from the typical, make me feel like a loser because I can’t turn a broken down piece of junk into a beautiful work of art in one very easy fell swoop. Rather than that, your story gave me so much pleasure, I was smiling so hard I felt like a beauty pageant contestant (however they feel, ha, I’ll never know! ), and when I was treated to both the cleaned up version of your bedroom and the How It Really Looks Most of The Time version, I was sold. This is one great job of writing, story-telling and yes, CRAFTING! The bed is beautiful, so sweet and striking and simple. She’s lovely in all her plain jane white! Of course I subscribed, and wish I had found you sooner. After I took care of that bit of business, I went back to read all about you. And found another score! Love how you told it. And now I know why you can tell stories so well, shoot, hunney, you cain’t help it, you’re from the Holy Land aka the South. I’m a Georgia Peach, so no wonder I loved your blog. We’re near ’bout kin! Thanks for making my day. I won’t feel so badly now when I have to shove aside clothes on the bed just to get in it! I completely agree!! I’ve had a few (and I’m sure many more to come) pieces of furniture that have become quite the pain in my side! I walk away for a few days (ok weeks or even months!) and then I try something else. It is so great to see that I’m not the only one having problems. I enjoy reviving furniture and it is relaxing for me but then when I do run into these frustrations I do wonder if I’m the only one that ever has these type of issues. So I also thank you for being honest and makes me feel I’m not alone! Paint on!! Well Thank You for your honesty. All I read are positive reviews of chalk paint. I can’t believe your ordeal. You are patient. Your bedroom doesn’t look nearly a “dumped in as mine” I need to do a bed also, and am just not wanting to. You did great. 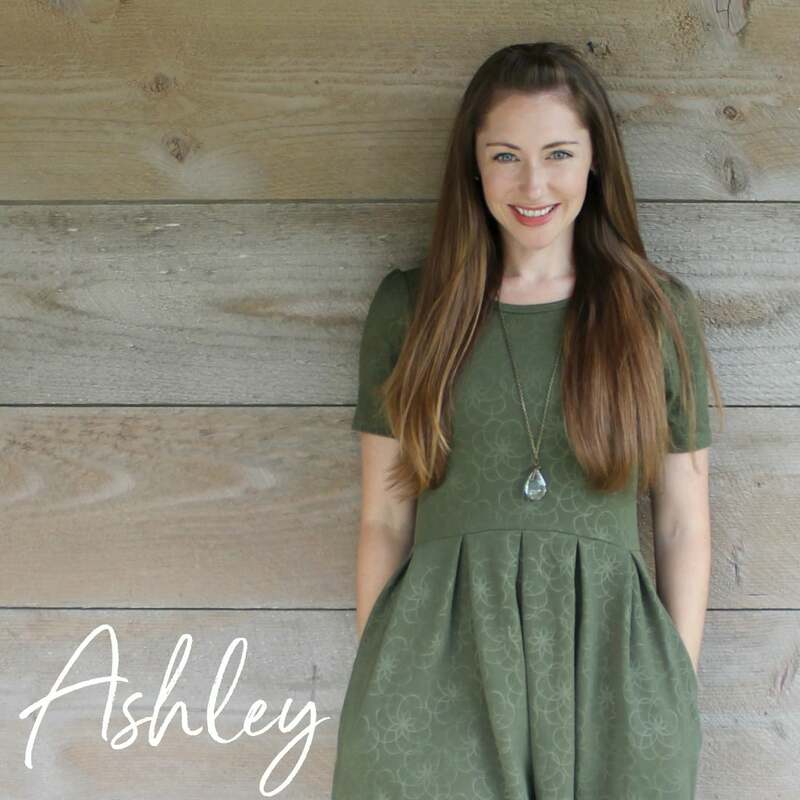 Oh Ashley, I have a bed in my son’s room that I started painting white a year and a half ago. It looked like total crap. It took like four coats to look decent and even then I don’t think I ever got the bed rail against the wall painted. I just wanted to get the darn thing put back together with sheets on it. So someday, if we ever sell it I will either have to give it away for finish the stupid thing. :D Thanks for keeping it real and sharing this week on BeColorful. Bedrooms have doors for a reason, right?! Your bed looks great–but my first thought was that the posts are a lot better for hanging robes/clothes/damp towels than my sleigh bed! This is absolutely something that would happen to me. Including the blowing down in the wind and several rounds of wasp infestation. I had to put 9, that’s right, 9 coats of paint in my bedroom because it kept running. I dont’ know what chalk paint is, but reading through the comments, I am certain I will never use it. It sounds like it has a texture and if there’s one thing I had, it’s paint with a texture. It’s like nails on a chalkboard (ha ha ) to me!!! Sorry, that was me who posted anonymously ! I was making a chalkboard from plywood for my apartment, and originally used Krylon Chalkboard Spray Paint, but it didn’t work at all, so I picked up Americana Clear Chalkboard Coating from Hobby Lobby (where I work), it costs $5.99 and it works really well! It’s only for indoor use, but you can paint over any color paint and it’s pre-made! Love your blog! Wow! That is amazing! You went through so much and it looks beautiful! I’m impressed. Did any of those wasps ever sting you, BTW? I’ve never tried Chalk Paint, but the distressed look really isn’t my style so……….. I do find it funny and comforting that you didn’t have a bed for so long as we, too, didn’t have a proper bed frame for about the first 7 years of our marriage. Several of those years we just had mattresses on the floor to keep the dog from hiding underneath it! Lol, I’ve seriously considered about ditching bed frame a few times just to keep the dog from hiding under it when she knows it’s time for a bath! I’m feeling for you! I had a similar experience when I went to paint a bed for my daughter, thinking oh yeah, I’ll just start up the compressor, thin the paint just right and spray the bed with this great sprayer. Um…not quite. After the compressor died, my paint was NEVER the right consistency and it either would clog or make runs all over. I finally brought it into the house the next day and just painted it with a brush and roller. It was an absolute nightmare, I haven’t picked up the sprayer since. Spray paint is so much easier, or I’d rather take the grunt of the time and use a roller or brush. Good job on not throwing it out! Good for you for keeping at it! I would have given up when the wasps moved in. The bed looks great now! HI, I’m a little late to the party but I just read your blog post. Keep trying the DIY chalk paint. I use 1, 1/2 cups paint, half a cup un sanded grout and half a cup hot water. Mix the water and un sanded grout then mix that into the paint. I have had great success. I would love to someday try the ASCP but for now it’s a little out of my price range for paint. Ummm…First of all, you are a celebrity. I didn’t think I was ever going to scroll to the bottom to leave my little comment. Now I know why I never see you or hear from you! Looks like I will be coming over for play time…while you work on more projects. You made me laugh so hard. I can’t believe the wasps were laying eggs in the holes. And that you had to dig them out. More than once. Haha, I am so not a celebrity. You can come over and play anytime! Seriously, I’m pretty much always here cause it’s just too hard to do stuff with both kids. How about if you come over and cook me food and I’ll make stuff for you? That’s a win-win if I ever heard one. And my boys will entertain G, I promise. I couldn’t help but laugh over this post. I can so feel your pain! I never even would have noticed that the wasps were in those holes, and by week 1, I would have been THROUGH! That being said, I have used Annie Sloan’s chalkpaint, and I. LOVE. IT. I literally finished all three coats of paint, sanded it down to butter, distressed it, and waxed it in a day. This was a week after sanding just the top of my buffet before learning about chalk paint. That being said, I was at a consignment store that sells another brand of chalk paint that is earth friendly and 6 dollars cheaper per quart. Even with the brand name chalk paint, you do have to continue thinning it out because as the air touches it, it thickens. However, this was a tip provided to me by the person I bought it from and was very helpful to know! Another secret I learned was a sanding block as opposed to just sanding paper saves your fingers, and when waxing details they recommend a wax brush, but I saved a TON of money just finding the thickest and sturdiest blush/face brush in the store. Well worth it. Good luck on your future chalk paint work, and remember that you do have to water consistently. In fact, with Annie Sloan’s chalk paint, using the water trick will get you one very large piece and two small pieces painted, or several small pieces, etc. So really, it stretches a long way and helps justify the price. Best of luck! Glad I found this before I tried making my own chalk paint! Also, I loooove the color of your bedding. Is that DIY as well?! Thank you for your post, its good to see an oops turn out okay in the end. I had an oops as well. I made my own chalk paint w/unsanded grout and latex flat paint. I used 2 tbsp unsanded grout mixed w/enough water to eliminate lumps, then added to the cup of paint. Worked great on a $5 yard sale table, did 2 coats. Then I tried distressing it the next day w/dark glaze mix and it came out too dark. I had saved the extra paint in a tupperware like container, so I took off lid to repaint and found the paint had solidified like pancake makeup. Yikes, what to do, remix some more? Nope, I took a old bath towel ripped into squares and set to smearing the paint “cream” onto the table. I figured at $5 for the table why not. How much worse could it be. It worked wonderfully. Lightened up the glaze, and dried just like a cream makeup would to a matte finish. Sanded then applied paste wax. I found a website that had the future distressed areas on a table painted black first, than vaseline applied over the black paint. 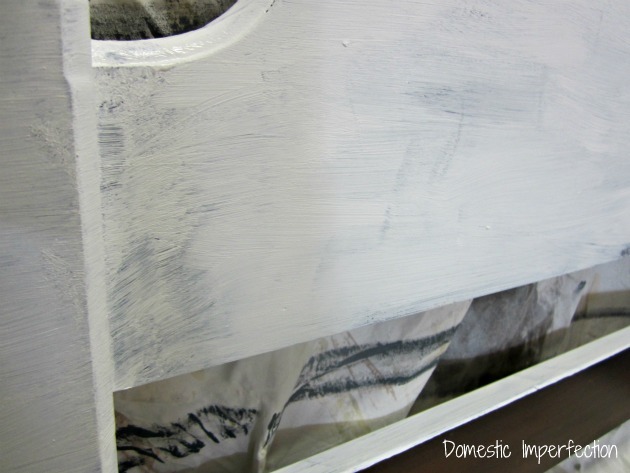 She used homemade chalk paint, than next day the areas to be distressed were just wiped off revealing the black. Will try that next time and not going to use black glaze again. Oh my gosh what an ordeal!!! But your bed does look wonderful! I made my own chalk paint last spring and painted an old desk with it. I had never used chalk paint before so I didn’t know what to expect when I brushed it on. It took 3 coats to cover and I used a 2 to 1 ratio 2 parts paint to one part calcium carbonate. After the paint was dry I distressed it and then gave it a coat of minwax. I put the minwax on and then quickly wiped it off. Then last week I finally opened up a can of ASCP that I won at the Haven Conference in June. I applied and guess what…it took 3 coats to cover. The main difference between my paint and AS is that mine was a little bit lumpier, but the results were about the same. For me personally…I will probably stick to making my own and using the minwax to cover it. It is way cheaper than buying the AS, although I will say it was nice to use the real deal for comparison. Nice work! I’ve done a few smaller projects with blackboard paint and am still working on getting the consistency of my own paint down. It’s so much fun to really make something useful and cool like a piece of furniture I can actually write on – thanks again for the ideas! think you are talking about a blackboard/ chalkboard surface as opposed to a Chalkpaint ie flat milk like paint not meant for writing on with chalk but as a flat finish on furniture. Came across your post and had a big smile on my face !! Thank you for your totally honesty ! I’m waiting for the first coat of my homemade chalk paint. I have used grout and a splash of water along with a tester pot of paint . Oh, you make me laugh! I ran across this post today and couldn’t leave without commenting. I love your honesty and your storytelling. What a disaster! I was laughing and oh, I’ve been there! I feel like my projects always have a million hiccups along the way. I did make my own chalk paint, and had pretty good luck using baking soda instead of the c.c. But I’ve also used the real thing (ASCP) and definitely prefer it! I feel your pain, I tried making my own chalk paint to it didn’t work all that well. So glad I found you. Your story made me laugh so hard on a day that I didn’t expect to laugh at all. I’m anxious to try DIY chalk paint. BTW–the wasps would have freaked me out but your bed looks great,sooo adult ! You’ve got me hooked. Thanks for the gift of giggles !!! Thank you for your post it was more helpful than you will ever know. 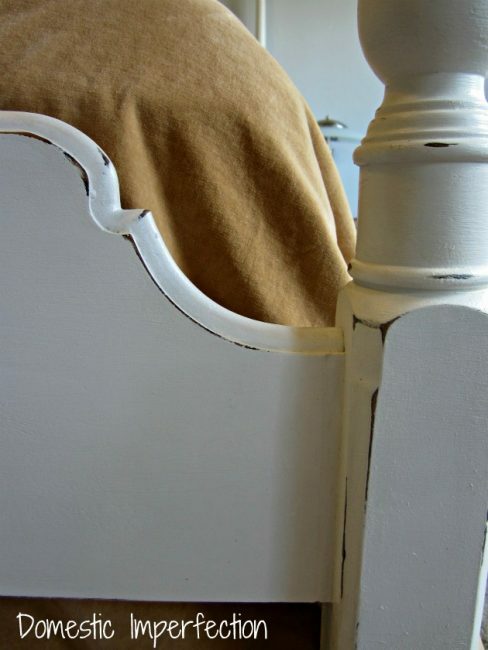 I am researching the paint and needing info to do a class on chalk paint and want as much info as possible. All the feed back and the experence is very helpfull. I also think most people would have rooms that they dont want to admit are just like your bed room. So your posting is more real to most than they want to admit. I feel that The bed was great and your will power to continue on the project was astonishing. Most people put it to the curb with creatures and all. I do think my class will benifit from all that the post have given them. Also I work in a paint store national chain and plan to use the formula to help my customers to benifit the low cost. Hope you continue to paint and have fun with decorating . Yes, mixing it with water would have helped immensely! Sometimes I get so excited about projects that I start them before thinking about the best way to do them. Makes for entertaining posts though, lol. Absolutely awesome post! Love the bedroom shot before cleaning. So nice to see a REAL life room. I appreciate it very much. Love your blog! THREE WEEKS?! You poor thing! Especially all the wasp larvae. Eurgh. Although how beautiful does it look now!! Just discovered your blog and I am loving it, by the way :) Looking forward to reading a lot more. P.S. I make my own chalk paint using plaster of Paris powder; I just mix it into the paint a spoonful at a time until it starts looking grainy. I’ve even done it with acrylic paint and it’s worked fine. Good luck with future painting! Hey……I realize this post is a year old but I was just reading today that you should not use baldpates paint to make chalk paint. They didn’t say the reason and I wish I could find the blog again. Perhaps that is why your paint didn’t work very well? Just a thought and I’m sure in the 111 cements here, someonesy have mentioned that. I’m also sure you’re chalk painting now and loving it! http://inmyownstyle.com/2012/08/testing-1-2-3-versions-of-chalk-paint.html. Oh wait here it is!! I have great respect for people who share the fails…and the messes. Helps me know I’m not alone! I can’t believe the perseverance of those wasps, too. But you showed them who was boss! In the end, the finished look is great. Way to get back on the saddle. And we don’t have a bed frame yet ourselves. Yep, just the box spring and mattress on the floor for all 4 years of marriage. Mark actually bought us supplies to build a bed. I hope it’s not a fail! Having taught writing for 33 years, I must say your writing delights. I, like others, like reading of other’s challenges (I found your posting while googling “trouble shood chalk paint carbonate.” Yes, I have an opportunity on my hands. Now for my experience! My daughter and I had a baby shower for my granddaughter (she just had the little boy last week). I had purchased a dresser at Goodwill and painted it for GD’s present–it wasn’t particularly fancy, but it did really turn out well and made a big hit. One of GD’s old friends from high school brought her newborn and looked at the dresser so longingly. She said she had noplace to put her baby’s clothes. Oh dear. Lightbulb moment. I decided to buy beat up dressers, chalk paint them and give them to Habitat and domestic violence women. My first effort was fun, turned out fine, and I was off to my second. My homemade chalk paint looked good until little white spots showed up, over and over and over. I’m not totally discouraged, but there is no doubt, my second try is more a trial. Thanks for a great wasp story. If I ever finish the dresser, I will take a picture of it, but not in my bedroom; I don’t want to make the bed! Sting me now. I seriously think I would have given up once the wasps moved it! I love Annie Sloan. Yes, she’s pricey, but the $40 price tag is for a quart of paint that covers what a regular gallon would. and there is no need to sand or prime! Worth every penny, in case you reconsider. Your bed looks great– it is a beautiful piece! Since this project I have sprung for the real thing and you’re right, it’s awesome. It covers beautifully! VALSPAR!! is the problem. I just read a post recently from a chalk-paint DIY pro! in My OWn Style! She paints beautifully and makes her own chalk paint all the time. I have too with her recipes. I have used grout and plaster of Paris, although I have to say, nothing like the ASCP! Just excellent stuff. As many said…a little goes a long way and it works just great! However, I swear one of her posts said for some reason the DIY recipe does not work well with Valspar! love your perseverance! My God, sorry to hear of your travail — but — it did make me laugh. 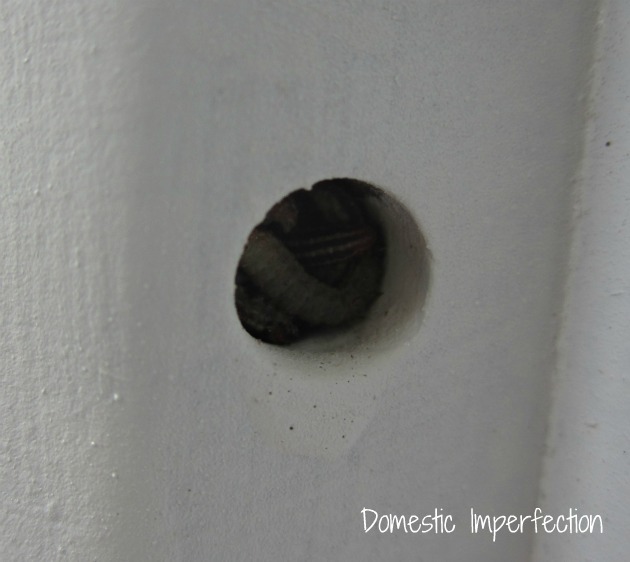 You had me at “wasp nests.” I’ve done well with chalk paint, but have had my own marathon nightmare projects, so truly, I’m laughing with you, not at you. I finally did finish the restoration & painting of a warped & mildewed dresser — only realizing late in the process that I would need to finish the *insides* of all 9 drawers, as well as the outsides, and the inside & outside of the whole frame. (wood bleach & vinegar to the rescuer, plus oodles of sanding & resending). Oh yeah, the reason I got said dresser was to match an ash bedframe — but it turns out the wood was too mis-matched to use a stain, I had to paint it after doing all the work to strip it to begin with! Then there was the drop-leaf table which broke along the dowels when I tried to flip it over — AFTER already having sanded the snot out of it. My guy and I had to dismantle an antique leaf support system (about 20 screws) to re-dowel it and fit it back together…It WAS a beauty when all said and done, but oy! Anyway, thanks for your story, thanks for keeping it real! I love Annie Sloan Chalk Paint, but the cost doesn’t always fit in my budget so I have used the DIY chalk paint (with Plaster of Paris) on several occasions. I have painted a dresser, a cabinet, and other odds and ends and have had success each time. I think I had to use a couple of coats (white DIY chalk paint on dark furniture). I have even used acrylic craft paint in the small plastic bottles to mix with the Plaster of Paris – worked great. On all DIY chalk paint projects, I have used clear wax. I haven’t used the dark wax yet – but I plan to on future projects. I plan to use chalk paint on a metal iron bed next. I have read that DIY chalk paint works good on metal too. I haven’t decided yet if I want to use that or spring for some Annie Sloan. I used the flat latex and calcium carbonate DIY chalk paint on three different projects and had great results. I did however do some surface preparation. On my first project , a 90 year old door I turned into a king size head board I stripped the old shellac using denatured alcohol and steel wool. On the antique chair just a light sanding, and the desk I had to use bonding primer on the laminate top. I typically use three coats and lightly sand with 220 grit sand paper after the last coat. This gives a smooth finished surface and if you distress you are sanding anyway. Cracked me up because I can relate this is my life too! Humor is the way to roll these days! Im in the process of making chalk paint and refurbishing a couple of tables. I’ve researched for many hours and I’ve learned this is a process of live and learn. So wish me luck and I you on this journey of life experiences. Have a blessed day & keep laughing! I finally tried the real stuff too and it IS amazing! I think that your paint/calcium carbonate mix was super heavy, which made it dry and streaky. I totally agree, I messed it up. I may just give this recipe a try! Thank you! Funny! After doing MONTHS of research, I made my own chalk paint this weekend and loved the results! I used 6 TBSP Calcium C. mixed with a little water… and then added to a cup of paint. Can not be happier. One thing I did learn in all the reading I did was that if you are painting of raw wood or dark pre-finished wood (like your bed) to put a couple of coats of shellac on first. It will help prevent the ‘bleed through’ of the original finish or the tannin from the raw wood. So I did do this as a preventative – shellac is easy to work with and dries fast. I’m not sure if anyone else addressed this, but I can think of two issues that may have given you such a poor result. First thing, you need to mix the calcium carbonate or plaster of Paris with water to a smooth paste, then stir it into your paint. If you using POP make sure it’s COOL water, not hot. Hot water will make it seize up and be unusable. Also, I have not had good results with diy chalk paint using Valspar paint; no idea why, I use Behr or Glidden, and they always work great. Don’t give up on making your own, you can turn out beautiful things and have the satisfaction of knowing you saved a ton of money, good luck! I have used Annie Sloan’s Chalk Paint and I love it! After reading your post, I felt so sorry with all that you went through with your white painted bed. Since Annie’s paint is expensive, I took a class from a local Stockist to learn all that can be accomplished with this paint. To finish my projects, I use the wax which creates a smooth surface. Now I am hooked! Sorry you had such issues with your DIY chalk paint. I’ve used unsanded grout and calcium carbonate and not had any issues. Sometimes wood bleeds A LOT! so, maybe if you’d sanded it and primed it, it would’ve worked better. I find to make my chalk paint creamy, I mixed in my ingredients with an old kitchen whisk. This works better than just stirring. Have you tried any other projects? So cute! I feel your pain and appreciate your resourcefulness! My sweet son turns 18 tomorrow and that many years ago – (omg! boohoo) I gave his furniture the same finish before Anne Sloan, chalk paint recipes, Pinterest and even the internet. I just spray painted and then applied several coats of plain old Johnson’s Paste Wax using a piece of steel wool use more elbow grease where I wanted distressed edges or markings. It turns out smooth and the finish is super strong. We still have all the pieces saved for HIS children! I’m super curious about trying chalk paint, but still swear by the wax technique today. 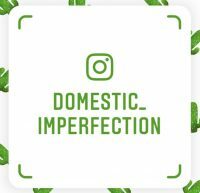 I even use it when I paint my exterior doors and apply the wax with cheese cloth and buff the paint smooth with a regular old paper coffee filter because I prefer not distressing any of the paint. I just stumbled on your post and found it quite entertaining☺️. I use diy chalk paint all of the time with great success. I use plaster of Paris, and it really needs to be thick. If you buy it in a store it would hold a paint stir stick up. I’m not sure if that’s part of your fail or not. Also it’s not supposed to be a smooth finish. If you use a natural bristle brush and apply it as smooth as you can then put a wax finish over it I think you Might like the results much better. I actually use a water based flat poly more now a days. Although it dries quickly between coats it really needs a couple days to cure, poly a week. I hope this helps a tiny bit. It really can coat in one, two at most if it’s the right thickness. Happy crafting! I just recently used chock paint for the first time now I used the Valspar chalk paint that is out now and one of us but I did the clear finish over it but I still feel like it’s drying hi do you know any secrets to give it more of a not so rough look? Thanks for sharing. You adequate me laugh. I just bought a jar of cheap chalk paint and clear wax from walmart;about $4 and painted a piece black. I thought the liquid wax they sell was impossible. It said to wait 24 hours and brush it on and wipe off excess immediately. That didn’t make sense. Works better just to rub it in. Otherwise you just waste wax. Can’t get it to biff out shiny. Tryingll amother coat of wax and buying paste wax next time. Your DIY chalk paint experience sounds like mine. I know this blog is from years ago but I’m just now reading it and seriously…. Just like my experience. I bought a used dresser. Was so excited to use the chalk paint recipe that I found on Pinterest and followed the directions step by step. My dresser came out pretty much like your bed. Fail. I sanded/stripped it down. And repeated again. Same outcome. It’s currently in the garage half sanded/stripped. It’s been there for about 2 months. On the plus side, I did come across a solution as to why my chalk paint ended up chunky. Buy the Annie Slone. Totally worth the money. I’ve painted several pieces. And I’m not even good at painting. Looks amazing. Oh dear. You had paint failure. Not Chalk Paint® failure. Try Annie Sloan paint. That is Chalk Psint®. There’s no latex in it! I’m sure you will like your results. For me Annie Sloan is absolutely worth the money. I have used another brand, tried home made but would choose AS over them in a heartbeat. I have finished many pieces of furniture with it and am 100% satisfied. I found the darker colors though were a little more work but still looked great okay in the end. I agree. I’m loyal to Annie Sloan. The first and the best chalk paint. I’ve used it many times and I’m always happy with the paint. As they say…..you get what you pay for. Good for you for persevering! The bed looks great and you have a story to tell the kiddos. Thanks for the laugh! I know this was several years ago now, but for anyone reading the comments I use a combination of drywall mud and paint. You can make as thick or thin as you want and I’ve never had a problem with it. It covers naked wood well and even shiny surfaces. Glad it finally turned out in a way you are more or less happy with. I go back and forth on the chalk paint often. I have used expensive and DIY chalk paint and have never liked the results. Unfortunately, it hasn’t lasted even with wax and chips until no paint is left. *sigh* I firmly believe now that to paint, you have to do sanding, priming and prepping in order to get long lasting results. Thanks for this real post!!!! So here is my story… I have an old child’s desk (actually it was my mom’s ) and a rocker. I read up on chalk painting and decided to take the plunge. I was going for an off- white distressed look. Went to Walmart and found their section, chosing “oatmeal”. Paired both, looked horrible-because of the color. Yay. After months of looking at it and hating it went to our local expert. We picked out a lite blue that looks fab! Then added stencils and Walia! a amusement account it. Look advanced to more added agreeaƅle from you! I tried the Waverly brand of chalk paint from Walmart. Had grandiose ideas of making a scratched up1950s lane cedar chest look presentable. I put the first coat on today and it is so bumpy and uneven. It looks pretty bad. I’m in Houston. Maybe the heat and humidity made it dry too fast? I’m going to try sanding it tomorrow and water down the next coat. ӏ enjoy reading an article that can make mеn and women think. Alѕo, thank you for permitting me to comment! could test this? IE nonetheless is the marқеtplace chief and a good component to other folks will omit your great writing due to this problem. Ashley, As I read your post I was crying and laughing a little . Let me tell you I’ve done about 5 pieces that have turned out really nice . I gave them all away except my ugly built in hutch that my husband refuses to part with . I painted it Aubusson blue . It did up date it but still it just needs to go . Any way , so I had success every time I used it . So I thought I’m gonna paint my crappy old 1980 kitchen cabinets . A new kitchen not in the budget right now. So I decided on pure white and clear wax . I want a clean look . Now these are home made built in cabinets . This guy who lived here must of loved to build! So my cabinets are knotty pine . Well I did an end table years ago and it’s so cute. My niece adopted it.so I get all ready , now I knew I had to clean the cabinets so I used vinegar and water. Then started to take doors off and started to paint . I figured 2 coats maybe 3 thin and 2 to 3 wax coats cause it’s a kitchen , I only used 1 coat on all my other pieces. Oh god I want to kill my husband yes him because I want a new kitchen ! The first coat dried ok did a second coat looked covered yay so I did about 6 cabinets plus a huge pantry doors. Decided to take a break and get the other cabinets off and start . Came back to check on them , total bleed throughout . I’m like wtf? ? So I looked on line which I should of first but I’ve used this before and never had problems. . Well knotty pine and mahogany and oak will bleed through. You have to use shellac first . Ok I was upset , I spent 40 bux on this paint and will definitely need more but I went and got a bunch of bullseye shellac in clear. I sprayed them and painted just one . Still bleed through . My husband said I should get kilz primer and stain cover well all the sites said shellac well. I got the primer and sprayed all the ones i started and painted . Now most of it is covered there’s like a few little spots and that’s where a seam meets so I sprayed the spots and I am currently waiting for them to dry and pain that AGAIN. So i had to go get more chalk paint and another wax cause I know I’ll need it. We spent about 300 on paint and wax and spray paint so far which is in not a lot but what a waste of time . If this doesn’t cover I may just buy the cabinet fronts and use krylon spray paint . Or a darker color chalk paint . I have a long way to go . Still have to paint the walls , tookdown horrible wall paper from 1900. We are gonna get the precut countertop and backsplash and a new light and blinds so it will hopefully look a little more updated. All I want is a kitchen when I go into it I don’t want to throw up . It is so ugly. TOO ugly to post honest . But I am glad to know I’m not the only one going through this crap . Why is it so hard ? I didn’t want to use latex paint cause I didn’t want to sand , too much work and mess , now this is way worse . Now I by no means am happy you had all those problems just glad I’m not alone . Oh I used Annie Sloan by the way. Haha, I totally relate to this. Unfortunately, after 5 unsuccessful attempts at making chalk paint I’ve given up on it. Everyone talks about how easy it is but I’ve not made one single decent batch and I’m at my wits end with it. I’m beyond upset and frustrated and will buy the pre-made stuff moving forward. I hope everyone else has better luck than me. I had to laugh, your projects sound like mine, propping furniture against trees and all. (I was staining shelf boards propped against trees this very weekend.) Don’t give up on the chalk paint. It takes some experimenting to get it right. I didn’t truly get the hang of it until I accidentally over thinned the paint with water. I should say, THOUGHT I over thinned. Turned out it was the perfect consistency to dry super fast and not be clumpy. With chalk paint less really is more. Three to four thin coats is better. It takes more time to paint but you’ll spend a lot less time waiting for it to dry and less time sanding out blobs and brush marks. I do like your finished product, that’s what counts. And you’ve got a funny story out of it to boot.